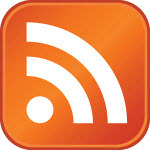 That constant blog companion, the RSS feed, is celebrating its 10th anniversary this year. These days RSS stands for Really Simple Syndication, but that wasn’t always the case. The meaning of RSS has changed a number of times since its initial inception in 1999. RSS = Rich Site Summary – In July 1999, Dan Libby of Netscape produced a prototype he called RSS 0.91. This time, RSS was said to stand for Rich Site Summary. Things weren’t made any easier when another team, the RSS-DEV Working Group, decided to launch another version (branch) of RSS (RSS 1.0) in December 2000 which reclaimed the meaning RDF Site Summary. RSS = Really Simple Syndication – In September 2002, Dave Winer released a final successor to RSS 0.92, known as RSS 2.0. This time RSS stood for Really Simple Syndication, which is how RSS is still known today. For the curious, RSS has quite a messy and convoluted history that you can read more about on Wikipedia. You might also like to check out Dave Winer’s thoughts about the 10-year anniversary of RSS. 😉 rss… here to stay.